The price of scrap lead depends on the current market value, and the type, quality, and quantity of the material you have to sell. At Valley Metal Services our professional scrap metal brokers know the market, and can help you sell scrap lead at the best prices. Whether you have scrap lead to sell, or have a need to buy scrap lead and are looking for a supplier, give one our friendly brokers a call for today’s prices. Racks Grade: Soft scrap lead that is free of drosses, battery plates, lead covered cable, hard lead, collapsible tubes, foil, type metals, aluminum, zinc, iron and brass fittings, dirty chemical lead and radioactive materials. Radio Grade: Mixed hard and soft scrap lead, including clean lead solids, that is free of other materials. Rails Grade: Dry scrap lead battery plates. Must identify whether the lead battery plates come from automotive scrap, industrial scrap, or a mix. Lead battery connectors may be included. No non-metallics aside from separators. Rains Grade: Drained/dry whole lead batteries. Scrap batteries must be complete including caps and cases of rubber or plastic. Rakes Grade: Lead battery lugs free of other scrap materials. Relay Grade: Lead covered copper cable. Rents Grade: Lead dross free of other scrap metals and contaminants. Rink Grade: Scrap wet whole intact lead batteries including caps. Can come from automotive scrap yards, marine scrap yards, and golf cart scrap yards. Cases to be either plastic or rubber. Rono Grade: Scrap industrial intact lead cells consisting of plates enclosed by a complete, unbroken plastic case. Roper Grade: Scrap whole intact industrial lead batteries including caps. This grade of scrap lead can consist of bus, diesel, locomotive, telephone and steel cased batteries. Ropes Grade: Scrap lead wheel weights (lead tire balances) with or without iron clips. We are experienced scrap brokers who have built relationships with buyers who are looking for various grades of scrap lead and other scrap metals. 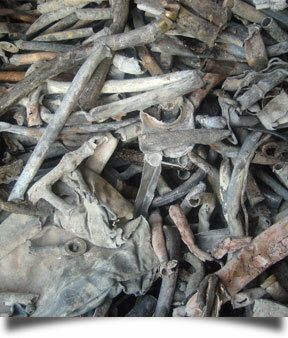 If you are looking to buy or sell lead scrap, give us a call.